C'est La Vie - Around the World! 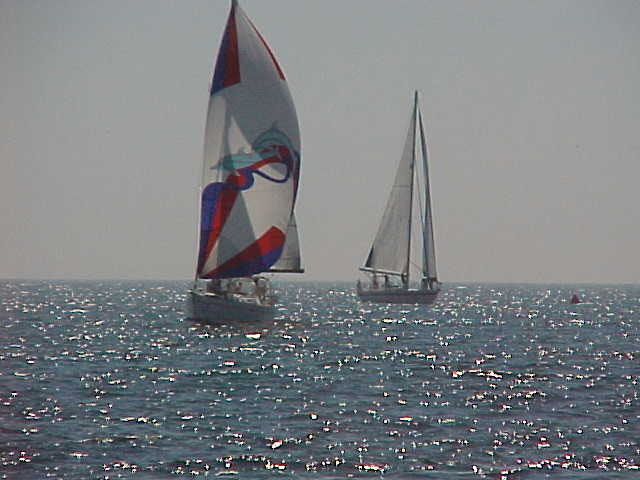 Susan and I left the Richmond Yacht Club in San Francisco Bay on September 11, 2000 and sailed to San Diego where we participated in the Baja Ha-Ha 2000 race to Cabo San Lucas that began on October 31st. It was a great beginning of our adventure. It was a very well organized event and we learned a great deal while having a great time. Most importantly, we made many new friends that we continued to see and enjoy through out our travels in Mexico. We had a good time in Cabo visiting with our long time friend Ola Pike. We then traveled to Mazatlan and stayed at the El Cid Marina where we had a relaxing time before sailing on to Puerto Vallarta and the beautiful Paradise Village Marina. We did a little inland travel from there by car and flew to Cuba for an eventful and interesting week. We sailed in the Sea of Cortez for two months getting as far as Bahia de Los Angeles before we left the boat in San Carlos for the hot summer while we traveled to California to visit the kids and grandkids. FOLLOW THE ADVENTURES OF KEITH AND SUSAN ABOARD C'EST LA VIE AS THEY SAIL AROUND THE WORLD. Locate our current position by clicking here (if the page can't find us, it means we haven't logged in yet).